IMS, through its Continental Trade Exchange subsidiary, processed more than $5.2 million worth of trades which produced a gross income of $540,000. This represented an increase of 53% over the same period in 2004, and an increase of 31% over the company’s April 2005 sales. For more information go to www.internationalmonetary.com. Years ago, one of the most visible people in the barter industry said the #1 reason why the industry wasn’t farther along in its development was due to a “failure to communicate” by those in the business. As the owner of a trade exchange you must stay in front of your clients. Informing, educating, and inspiring them, because your clients’ bartering is a relatively small percentage of their overall business. So if you don’t keep their interest and enthusiasm for trade at a high level, you lose. Your primary aim, like all other businesses, is to get your clients coming back for more. Every extraordinary business (and every trade exchange owner who wants to be extraordinary) knows that the customer you have, is a lot less expensive to sell than the customer you don’t yet have! Want to take your exchange to a higher level? Use The Competitive Edge newsletter in your operation—it “sells” the many benefits of working through your trade exchange like nothing else! Revenue for the quarter was $2,387,000, compared to $2,275,000 in the third quarter of fiscal year 2004. Revenue for the first nine months of the fiscal year was $7,661,000 compared to $7,770,000 for the same time period in fiscal year 2004. Income from operations for the quarter was $148,000, compared to $451,000 in the same quarter for the prior year. Net income in the quarter ending April 20, 2004, included several non-recurring income items. Total net income was $2,132,000, or 11-cents a share, for the third quarter of 2005, and includes a $1,960,000 income tax benefit. Total net income for the first nine months of fiscal year 2005 was $2,965,000, or 16-cents a share. Assets increased to $5,881,000 compared to $2,923,000 at the end of the previous fiscal year, July 31, 2004. An income tax benefit was attributed to $2,260,000 of the asset increase, or 12-cents a share. Cash increased to $1,268,000 compared to $215,000 at the end of the previous fiscal year. The company has no long-term debt. 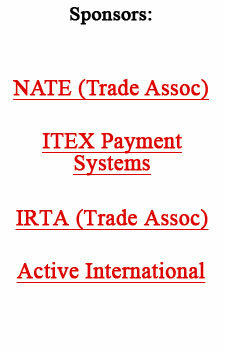 For more information go to www.itex.com. Breaking up the billboard’s day should bring in big bucks. Clear Channel, for example, will charge advertisers $40,000 to share time on seven billboards for four weeks, compared with $10,000 for one standard billboard. Spending like that could revitalize the $5.8 billion outdoor market, which is now less than 3% of all ad spending. Now available ...BarterNews issue #64, get your copy now! Orders will be shipped within two business days of publication. Click on Order Form. Yale economist Robert Shiller has a second edition of his bestseller, Irrational Exuberance, now in print. It includes a new chapter making the case that we are in a housing bubble. But there’s still that pesky question of when it all will end. He says real estate in the U.S. has enough upward momentum to keep going for a while, but it’s inevitable that prices will drop. The author contends that an asset derives its true value from the income that it will throw off in the future. (With a stock that means, strictly speaking, the dividends it pays.) With an owner-occupied house, it’s what economists call “imputed rent”...what you would have to pay to rent an equivalent house. In many U.S. markets today, the monthly cost of buying a house is significantly higher than the monthly rent on an equivalent house. So by the “imputed rent” test, it makes no sense to buy. Shiller says people buy anyway because they assume that house prices will keep rising, meaning they can sell out later for a profit. That of course requires that another buyer will come along who also assumes that prices will keep rising, which will require yet another such optimistic buyer down the road...and so on, and so on. This happens to be the definition of a Ponzi scheme, Shiller says. He maintains this real estate market craziness cannot continue. But to make a bet about when it’s going to end—now that would be really crazy. Editor’s Note: The World Wealth Report, produced by Capgemini and Merrill Lynch, shows that Americans with $1 million or more in liquid assets cut back real estate holdings to 13% of their portfolios in 2004. Their drop in real estate holdings is a contrast to everyday consumers who continue to buy up homes and drive up prices. Market experts say the wealthy are often at the forefront of investing and financial trends, and this shift could be a leading indicator of a market peak. Give A Gift To A Friend Or Associate. If you know someone who might benefit from this newsletter, feel free to forward it to them! (See the “box” at the end of the newsletter for the forwarding service. Many magazines are struggling as ad dollars flee to the web. Yet last year 1,006 new titles were launched, up from 953 in 2003 and the first time since 1998 that new titles totaled more than 1,000. Industry experts say any new magazine is still a gamble, with odds running 4-to-1 against a title surviving. Tom Cruise has moved ahead with another barter agreement (he takes no salary, instead getting a percentage of the studio’s gross receipts) to film the movie, Mission: Impossible 3 . Have you signed up to receive a summary via e-mail of the TuesdayReport every week? If not, go to the top of this issue (right hand corner) and sign up! The hotel-condominium hybrid concept is a hot topic these days. Virtually every major hotel owner in the country is looking at hotel condos, hotel condo conversions, or hotel condo construction to see if it fits their situation. Driving this move are the baby boomers approaching retirement who want to invest in a second home. Condo-hotel developments are also easier to finance, as the developer is required to come up with much less investment than that of a traditional hotel, where about 40% equity is needed. If you've missed any of our weekly Tuesday Reports the past five years we have an archive of issues for you at the bottom of this week's letter...check it out!
? Copyright BarterNews 2005. Redistribution of BarterNews content expressly prohibited without the prior written permission of BarterNews. Are You A Subscriber to BarterNews? Click on Order (above) to Start receiving BarterNews!